Come join us as we celebrates families of all kinds. 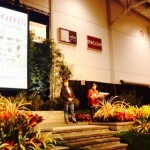 Over 25 Gardens – Stunning gardens created by Canada’s top garden designers, architects and builders. 1. Balcony Gardens – you asked for it, and we listened. 5 balcony gardens offer you an opportunity to see what can be done in a 8′ x 10′ space. 2. Oaks Landscape Products Do Up The Doorstep Gardens – We have 5 front yard gardens and 4 backyard gardens, see how innovative these garden builders can be in a small space (G17A-D & G24A-E). We want kids to put away their electronics, turn off the tv and discover the joy and excitement of playing outside. Drop by and check out the games and real grass. What a great way to celebrate spring. 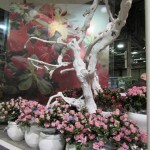 Toronto Flower Show – Canada’s Largest indoor horticulture and design competition presented by the Garden Club of Toronto. For the first five days (Friday-Tuesday) enjoy the design stylings of 10 competitors from around the globe. If you wish to enter open classes, please visit the rules and regulation page. This special feature was designed by Fresh Floral Creation’s Bruno Duarte. He tells us his inspiration for the floral art piece is unconditional LOVE. Family is where we experience love for the first time. The heart structure that will be covered with steel grass woven together, symbolizing the many different kinds of families and how they are woven together as a society. The world need more love and unity. As we celebrate the importance of family this year, it was JP’s intention to pay homage to his Portuguese heritage and display a fresh flower carpet created with over 1000 blooms, fresh moss, and a design that incorporates both tradition and modernity. It is the marriage of nature, culture, and faith-the triad that links our past, present and future. With the inspiration of his culture, the steadfast inspiration of his family, JP presents “Festa na aldeia” an homage to our history and traditions. Canada Blooms Floral Artist of the Year Competition – open class design competition, taking place Friday, March 15 10am-2pm. If you are interested in participating click here for further details. VOTE FOR YOUR FAVOURITE GARDEN AND FLORAL DISPLAY IN THE TORONTO STAR PEOPLE’S CHOICE AWARDS – for a chance to win a Rivercrest Fire Pit from Unilock. Ballots can be found at the Toronto Star booth (G27), the Wine Garden (G45), Info Booths and the Festival Office in Salon 107 at Hall B. Seminars – Enjoy 100s of hours gardening and floral advice from industry professionals on the Unilock Celebrity Stage and Garden Solutions Stage presented by Harrowsmith featuring the Master Gardeners Speaker Series, are both located on the festival floor in Hall G as well as the Garden Marketplace Stage in Hall H.
Special Guest Neville Mackay will be hosting Floral Events on stage, including the Bouquet Battle and CAFA Couture Floral Fashion Show on Friday, March 15 on the Unilock Celebrity Stage. Mark’s Choice Gardening Experience Workshops – Kids from 5 to 95 are invited to drop by and learn all about soil and seed planting. Plant your own seeds to take home and watch them grow (G30). 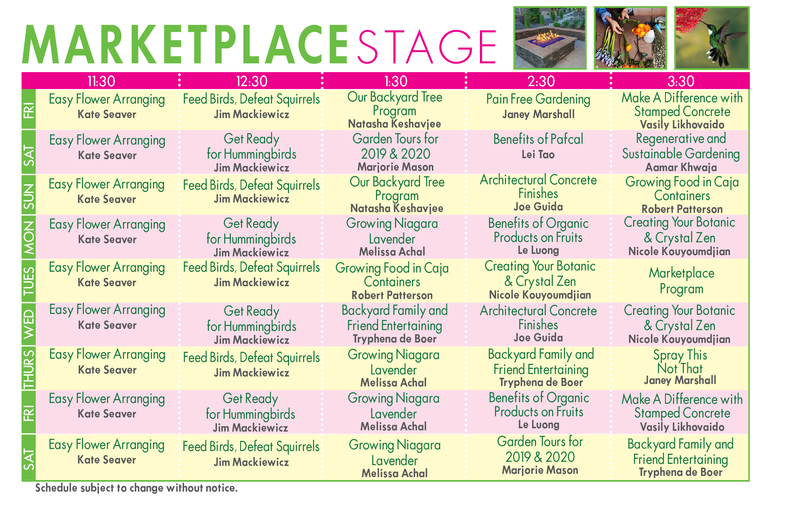 The Gardening Experience is also home to a number of workshops and demonstrations throughout the 10 days of the festival, including the Li’l Sprouts series presented by Master Gardeners of Ontario. Demonstrations are included with your admission. Make and Take workshops have an additional fee. 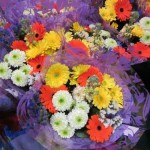 Ontario Flower Growers Floral Market – Over 1500 sq. 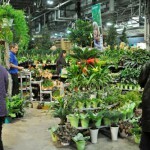 ft. of flowers and plants from Ontario’s top growers are located in one area. Come see why you should buy local. Garden Goodies – The Toronto Botanical Garden is packed full of garden goodies and books to get your garden season started. The Wine Lounge at CB presented by Colio – It is a Canada Blooms tradition to drop by the Wine Garden for a refreshing glass of wine, listen to the various musicians while you enjoy the festival. It is a time honored tradition. Have a garden or horticulture question? 1. Drop by the Master Gardeners of Ontario Advice Clinc, or bring your plans, pictures and dilemmas to the skilled horticulturalists at the One on One Garden Advice Clinic booth and they will have you walking away with a number of solutions. Do you have a gardening or landscaping dilemma? Well we have the answers. Drop by the ‘Ask A Garden Expert’ booth at G17A and Neil Masson and his crew can help you solve any number of problems you might have. 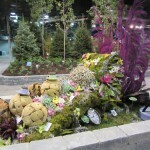 Check out our Horticultural Happenings Area, featuring the Ontario Horticultural Association, North American Native Plant Society, Ontario Invasive Plant Council, Gardener Magazine, Ontario Gardener Magazine, Butchart Gardens and Vineland Innovation and Research Centre, they have a wealth of knowledge to help. 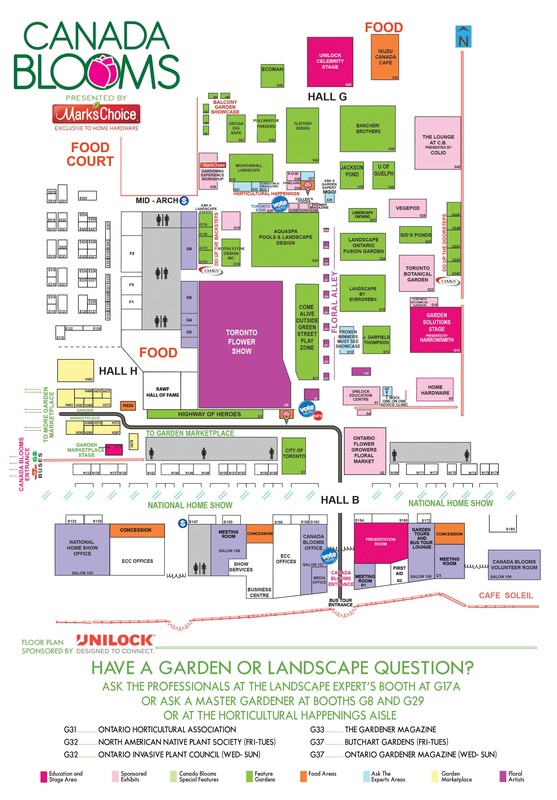 Follow the roadway carpet from the entrances at either Heritage Court (TTC entrance) or Hall B (Canada Blooms main entrance) and you will discover garden marketplace vendors and artisans on your way to Canada Blooms located in Hall G.